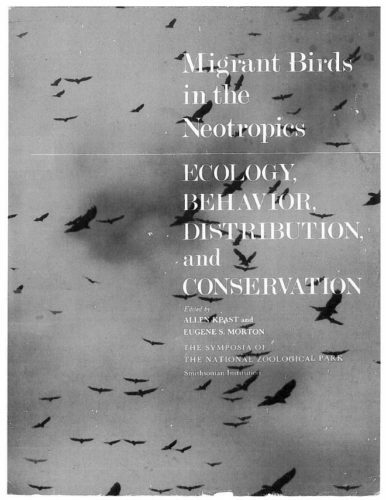 The nearctic-neotropical migration system is one of the world’s greatest and most complex, birds from the whole length and width of the North American con­tinent being compressed into Middle America and northern South America, a land area a fraction of the breeding area’s size. The neotropics are, nevertheless, extremely rich as bird habitat, supporting the world’s richest endemic avifauna. These features pose fasci­nating questions.